AH Loder Advisers was founded in 2010 by Sandy Loder, after over 18 years working in his family business and family office. I and my specialist team of associates have a totally unique knowledge and experience on succession and the dynamics and mechanics of Families, Wealth and Business. I am constantly being asked by Families and their advisers to coach, mentor and help members of their family with their careers and life journey. We work with, advise and review Family Offices on their setup and running. We can help develop strategies to better understand and attract the Next Generation to your organisation. After a decade of advising families, I find myself uniquely qualified amongst my peers. After working in my family business Robert Fleming & Co for 8 years, I was asked to help establish a single-family office for the Fleming family, following the sale of the family business. This office then went onto become the multi-family office of Fleming Family & Partners, which subsequently merged with Stonehage. I worked in our family office for a further 10 years, before leaving to set up AH Loder Advisers. I find myself much in demand for my services and unique knowledge. This takes me all over the world working with amazing families, family offices and family businesses from different cultures, who are all seeking to maintain and grow their family success. I have worked with a whole range of different families around the world – I obviously cannot name them, but many are well known. I am also a regular keynote speaker at conferences on a range of topics. I attended Harvard Business School, have the Advanced Certificate in Family Business Advising from the Society of Trust & Estate Practitioners (STEP), am a member of the Institute for Family Business (IFB) and the British Psychological Society. Previously, I served as an officer in the British Army, serving on military operations in Northern Ireland, Cyprus and Sierra Leone. I recently stepped down as a Trustee of JK Rowling’s charity Lumos. I was nominated for Spear’s Outstanding Achievement Award 2018, was finalist for the STEP Family Business Advisor of the Year 2015/16, 2014/15 and 2013/14; the Spears WMS Next Generation Award 2013; the STEP Trusted Advisor of the Year 2012/13 and Short-listed for the Red Ribbon Award for Family Business Ambassador 2012. Geoff Marsh joined AH Loder Advisers as an Associate Partner in 2010. Geoff has been working with Families and Family Enterprises for over 10 years. He is an expert in Family Governance, Leadership, Organisational Development and one-to-one coaching. He has worked with over 500 Next Generation heirs and helped with their career development both within family enterprises and outside. He runs a series of one-to-one coaching sessions for HNWIs and their families on issues relating to succession planning and other family-related issues. He is a highly-rated expert and well known for his business skills training programmes which he runs all over the world from front office sales and negotiation training for account managers to presentation skills, effective management, leadership training, time management and effective delegation for management and family executives. He very much focuses on developing ‘smart’ business skills for future success. Over, the last twenty years, his clients have included organisations such as: BNP Paribas Private Banking; HSBC Private Banking; Barclays Wealth; Lloyds Bank; Macquarie; Unigestion; Taib Securities; Ernst & Young; Nationwide; Stonehage Fleming; Rothschild; Bank of Georgia; Bank of China and Union Bancaire Privee (UBP). 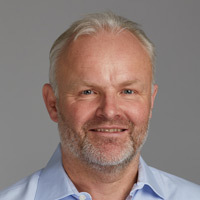 He has also worked with: Air Miles; Regus; Robert Bosch Ltd; Wessex Water; Sun Microsystems; Scottish & Newcastle Breweries; London Underground; Forte Hotels; The Engineering and Physical Sciences Research Councils (EPSRC); The Zoological Society Of London; Interserve Project Services Ltd; United Airlines; Qatar Airways; Rohm & Haas; Serono Pharmaceuticals and Unichem. In addition, he is also much sought after as a presenter and after-dinner speaker. He currently has his own show on radio. He is the author and co-author of several coaching books. When Geoff is not helping others, he can be found on stage at his local theatre.